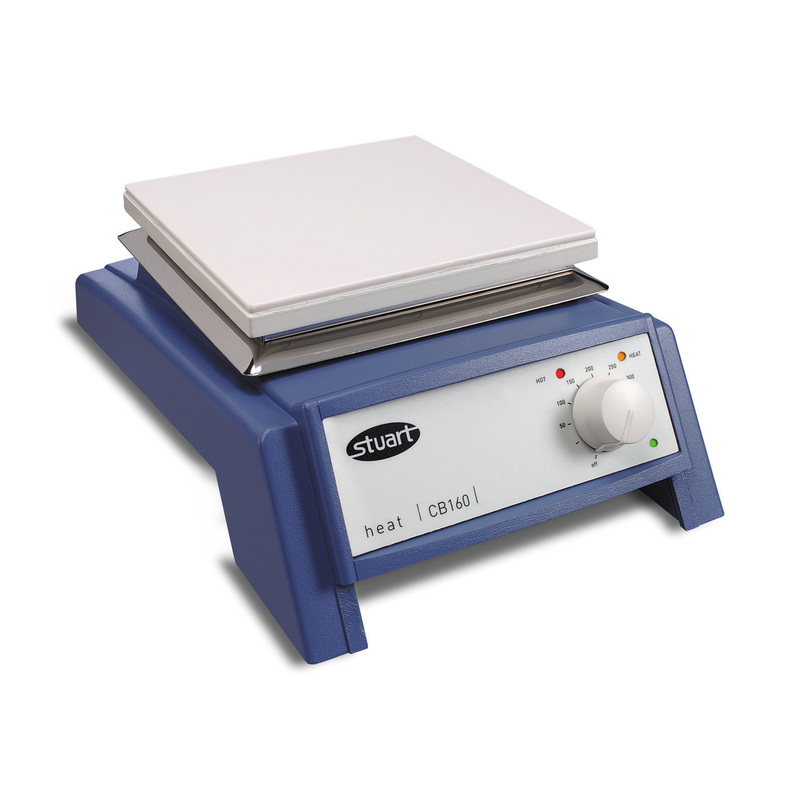 General purpose, reliable hotplates with compact A4 footprint. These hotplates have microprocessor control of temperature allowing a calibrated scale to be printed around the control dial in °C rather than an arbitrary 1 - 10 scale. The "Hot" warning light will flash whenever the plate temperature is above 50°C and will operate even when the hotplate is turned off and connected to the mains. Model CB160 has a glass ceramic top which has excellent chemical resistance and allows high plate temperatures for faster heating. Model SB160 has a robust aluminium/silicon alloy top plate which will withstand the knocks of everyday use.